We are very fortunate to get the opportunity to visit numerous attractions throughout the year, and we love to share our opinions with our readers. Whilst many of the places we visit are indeed fantastic, occasionally an absolute gem of a place will crop up, as was the case with Puxton Park, located near Weston-Super-Mare in Somerset. 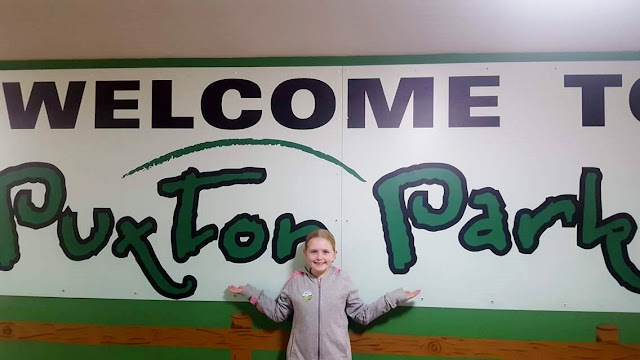 For the past week we have been staying in a beautiful lodge in Burnham-on-Sea which was approximately a 30 minute drive away from Puxton Park. I had taken a look at the website before visiting and the attraction was described as "The ultimate fun-filled experience for the family". 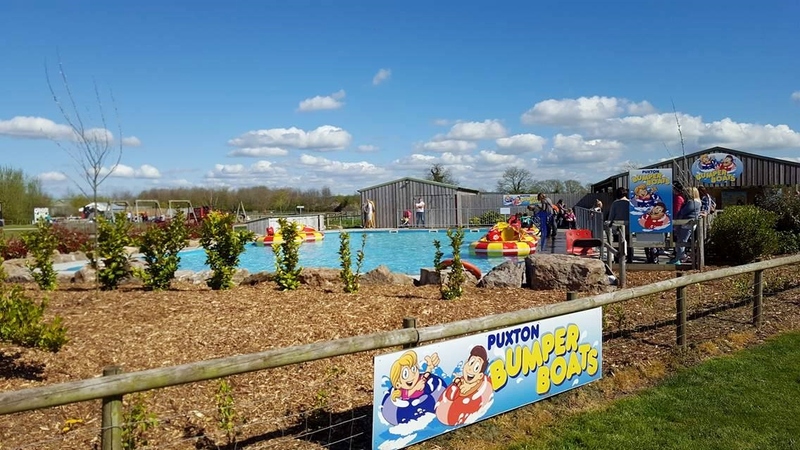 Following a browse through the online photographs, I had expectations of the attraction being a farm park with a large indoor play area, and whilst it does contain both those elements, Puxton Park is actually a whole lot more. Our journey to the attraction was really easy, with it being located a short distance from the M5 motorway. It is very well signposted, and there is a very large sign located at the main entrance, so it would be hard to miss. 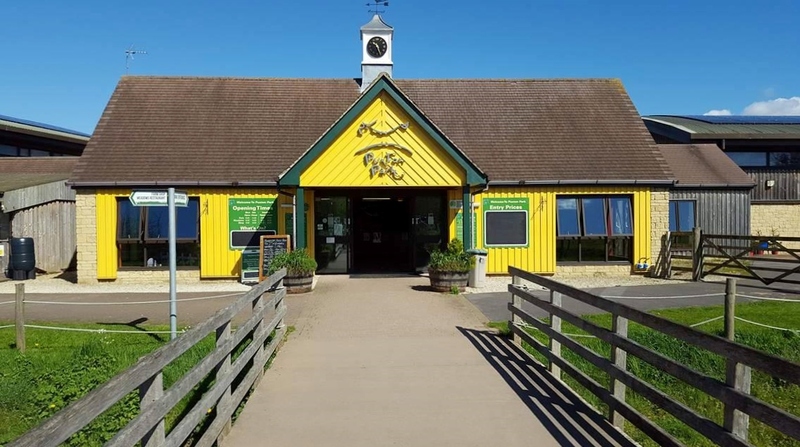 The sun was shining and it was an absolutely lovely day to be visiting, so we were slightly concerned that parking may be an issue, however we were pleased to find that there was a huge car park, with ample parking spaces for guests. On entry we found the reception area within a large foyer where there is plenty of room for guests waiting to enter the park. The staff on the desk were very friendly, and we were provided with directions to the entry doors, and a map so that we could find our way easily around the attraction. 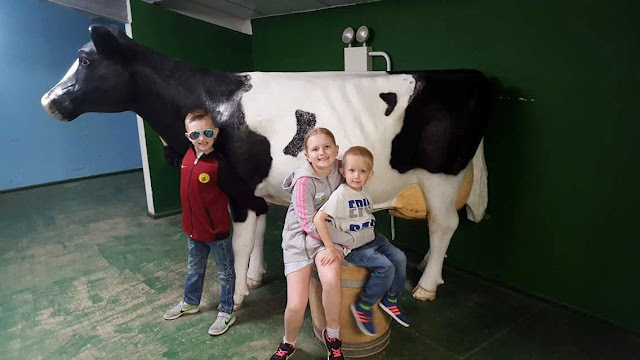 In the past we have visited and reviewed attractions as a family of five, however on this occasion, the grandparents had come along too, and so it was great to be able to also obtain their opinion on the day and views from their perspective as well. There are some toilet facilities located near the main entrance, and so we had a quick loo stop before entering. The toilets were quite low down, and so it meant that Riley was able to use the toilet without any assistance, and Nana also commented that the facilities were extremely clean. This was at the start of the day, however we visited them again several times throughout our visit, and they remained spotless. On entering the park, we decided to make our way to the back of the site, and then work our way forwards. However, on the way, Riley spotted some electric tractors and quickly hopped on. These carried a small additional charge of £1, but lasted for three laps, and were very easy for Riley to control. He really enjoyed this, and we returned to this part of the attraction several times throughout the day. 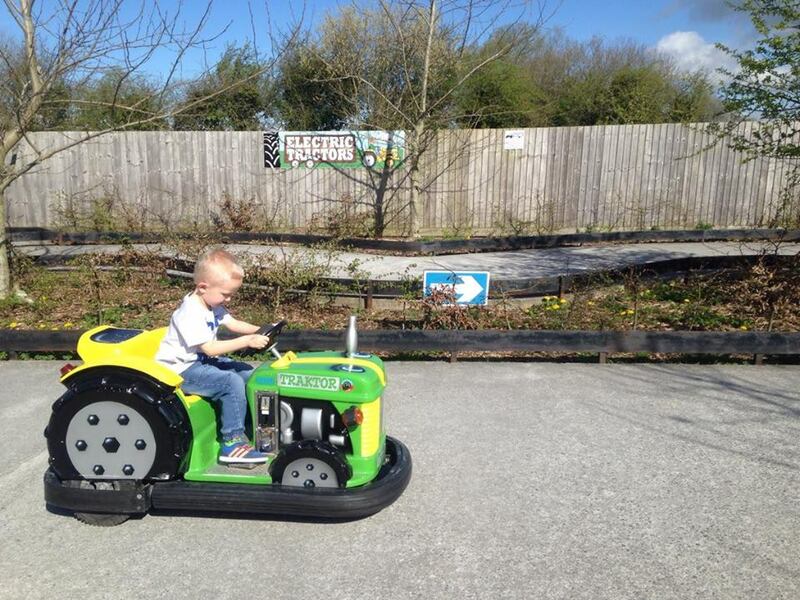 Next to this were some pedal powered tractors, all in a range of different sizes and aimed at under 5's. 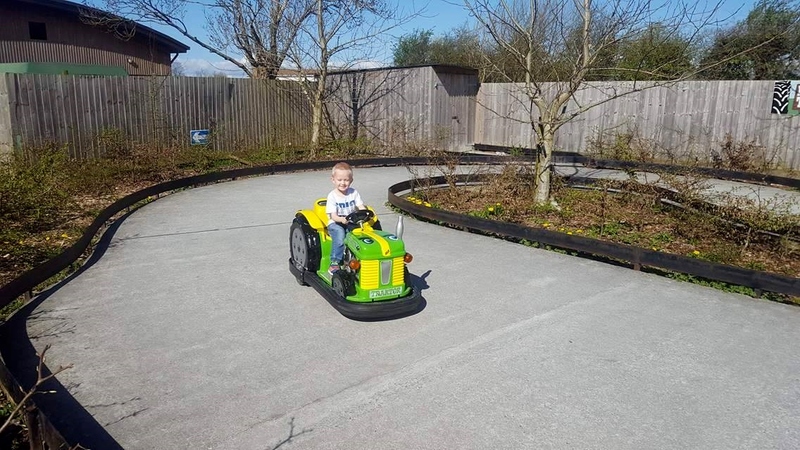 Riley really enjoyed making way around the tractor course and it was a lovely activity to start the day. 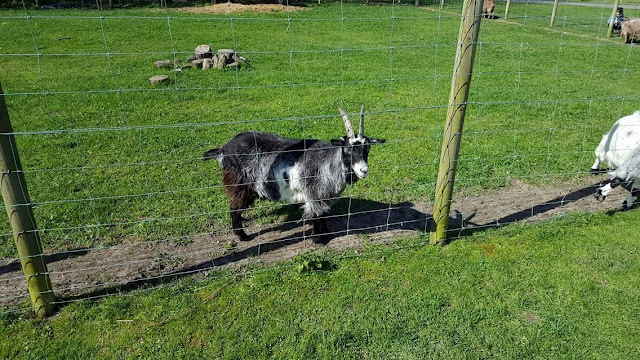 We then continued to make our way to Pets Village and the animal enclosures. We were immediately very impressed with the cleanliness in this area, and could clearly see that it is very well cared for and maintained well. Whilst here. 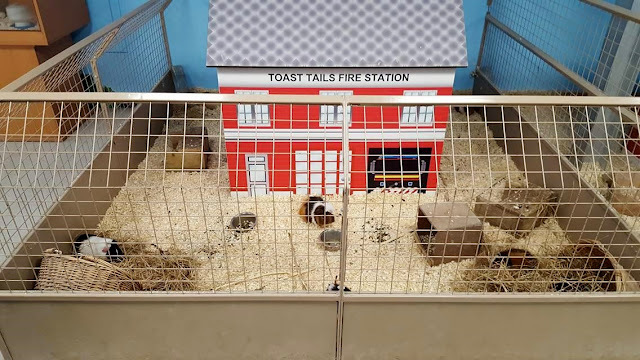 we had the opportunity to watch an animal show, where the presenter provided information on several different animals including a chicken, goat, and a hare. The presenter spoke loudly and clearly, but also in an engaging manner that kept even the youngest of visitors interested. Guests were then invited down at the end of the talk to meet and stroke some of the animals, and the staff were also happy to answer any questions. The bunny and guinea pig area was lovely, and the hutches had been cleverly decorated to resemble small town buildings including the local supermarket 'Miceland' a school and 'Toast Tails Fire Station'. 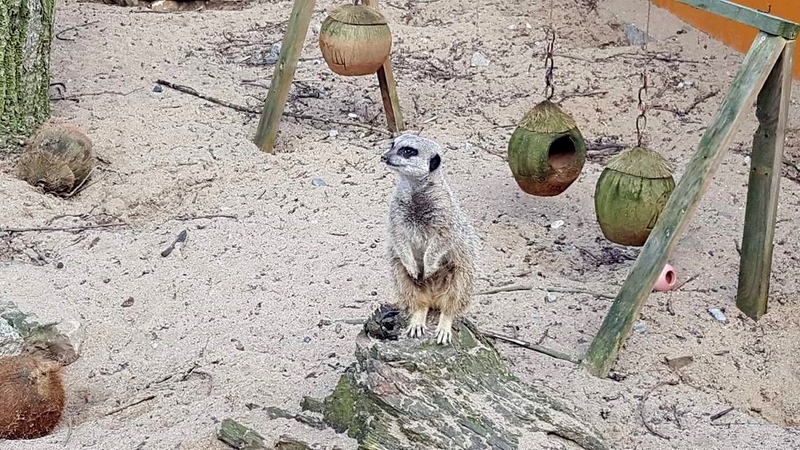 Our particular favourite was Meerkat Manor, where it was lovely to see the busy meerkats interacting with one another in their large enclosure. 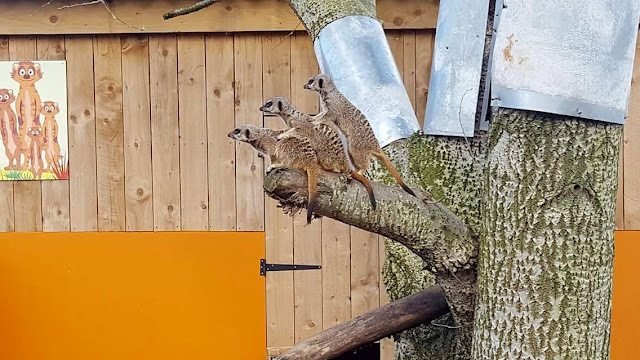 There were viewing windows all around the enclosure to make it easy for children to see, and the wall was short enough for adults to see over, so there was ample space for everyone to get a good view. There was a beautiful moment, where the meerkat on watch was joined by two others, and they all stood together perfectly still for several minutes. Absolutely adorable! 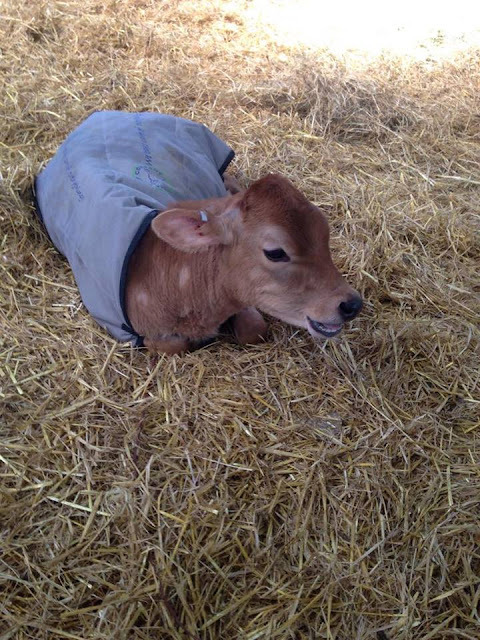 Next stop was the Puxton Farm & Dairy, which houses an organic herd of 150 pedigree Holstein cows as well as some beautiful Jersey cows. This part of the attraction is so well thought out, and the cow shed also features a maternity paddock, and nursery section. 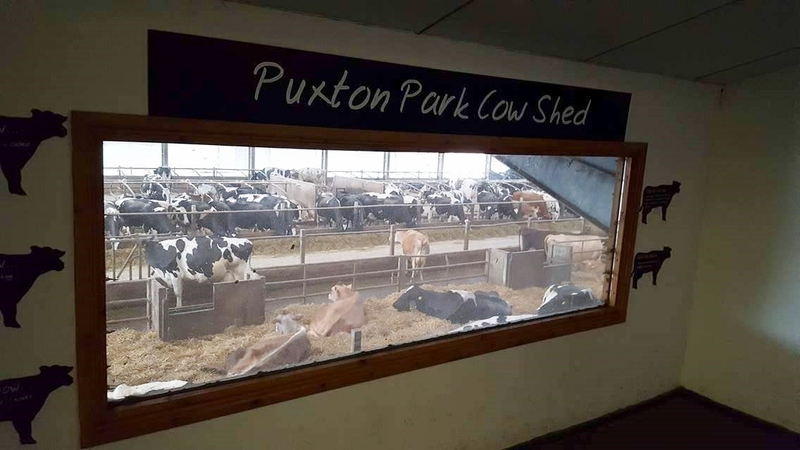 The walkway is located above the cows, so that they remain undisturbed, whilst guests get a view of the expectant mothers, and newly born calfs. There are also clear signs full of fun and interesting facts at frequent intervals along and around the walkway. Just outside the main animal area, were some trampolines that were built into the ground. Riley, Emma and Ben burnt off some energy here whilst we had a quick sit down in the sunshine, before they ran over to the maze located next door. 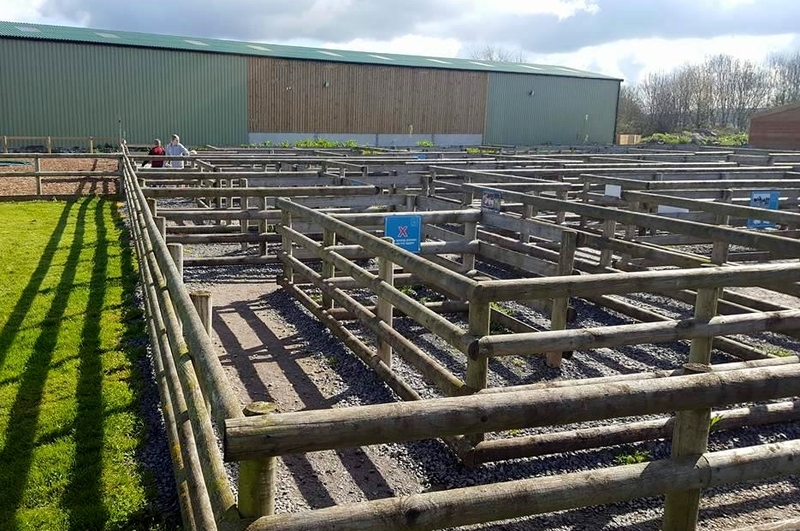 The maze is a simple but fun idea made out of fencing, and the kids absolutely loved it. Riley kept bursting into giggles every time they realised they had made a wrong turn. It was at this point that Grandad commented on how fantastic the disabled access was around the park. 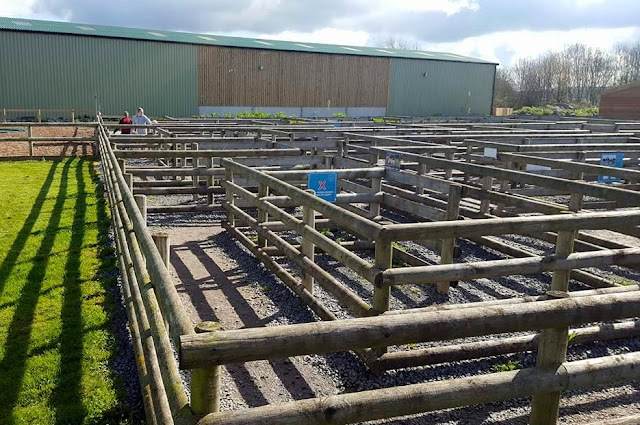 There were ramps to reach the cow shed area, and the ground was very even and flat throughout the attraction. There was ample space between each area, to allow room for wheelchairs or the use of mobility scooters, and benches were sited near each activity to provide a comfortable place to sit down. We have visited numerous places in the past where due to uneven ground, Grandad has had to hire a mobility scooter, but here he was able to get round fine with the use of his walking stick and found plenty of places to have a rest when needed. We all began to get a little thirsty at this point, and so we decided to find the restaurant to stop for some lunch and a drink. 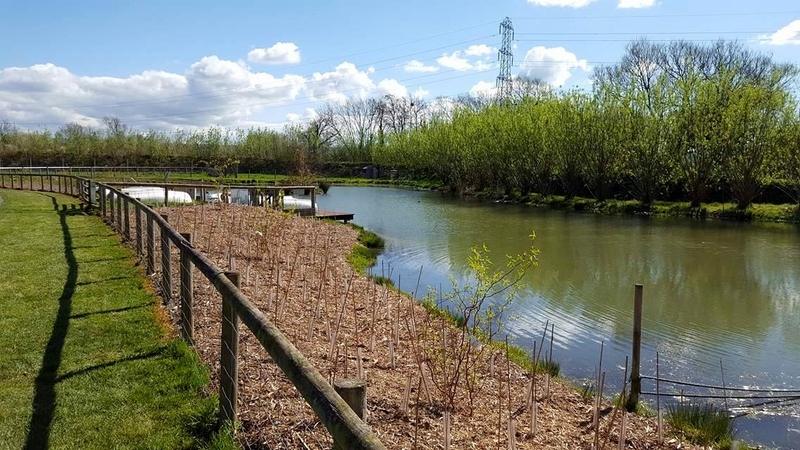 On the way, we came across a lovely miniature railway which took you on a quick tour around a small lake. This was really enjoyable for all of us, and a wonderful activity to have within the park. When we reached the restaurant, we were really impressed with the prices of the food. Most places over inflate the prices, but we found it to be really reasonable here, and the meals looked absolutely delicious. We had eaten a large breakfast prior to setting off that morning, and so didn't need a big lunch, which was a shame as the carvery looked spectacular, and I must admit that I was slightly envious of other peoples plates. The kids all had tubs of ice cream which were tasty, Mr F enjoyed a large slice of cake, whilst Nana enjoyed a wonderful Tuna Salad. We also all had some drinks, which again were fairly priced. 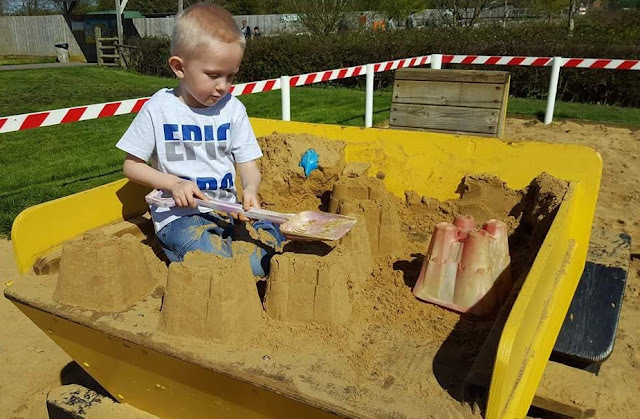 Whilst making our way to the restaurant we had noticed a large JCB Dig & Play area, which was a huge sand play zone which featured several large JCB models that children could climb on. Riley absolutely loved playing here, and could have quite happily sat here for hours. Emma and Ben joined in for a while, before heading over to the Jumping Pillow area whilst the queue was small. I was happy to see that safety was of importance, and noticed that the man in charge of this activity would only let a few children on at a time. We have been to a few places where there isn't even any supervision on these and so this was a great thing to see. 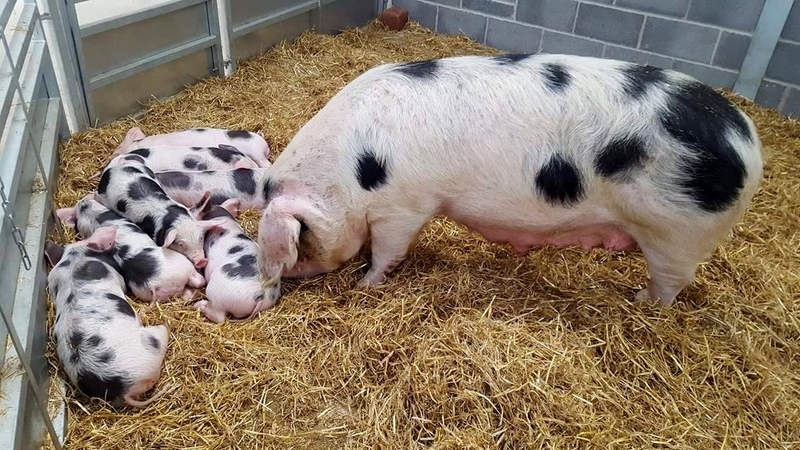 When we had first arrived at Puxton Park, and were travelling down their long drive way, we had noticed that there was a sign for a car boot sale to be held in one of the fields. Never one to miss a bargain, we decided to take a stroll down the drive to have a little wander around, and so we checked with the gentleman on reception that it would be ok to return in a short while. He said this was no problem at all, and stamped our hands to ensure there would be no issue when we came back. When we returned from the car boot, we topped up our sun cream by the car, and dropped off our coats to save carrying them around, and headed back into the park. We went straight over to the bumper boats, which seemed to be the most popular activity as there was a large queue, however this did reduce quite quickly. There was also plenty of seating for anyone not riding the boats, which gave you a nice place to stop and have a rest whilst other guest in your party queued for the ride. This was the highlight of the day for the kids, as although they have ridden on bumper boats before, these ones could also spray and squirt water on other riders, ensuring that you got very wet! 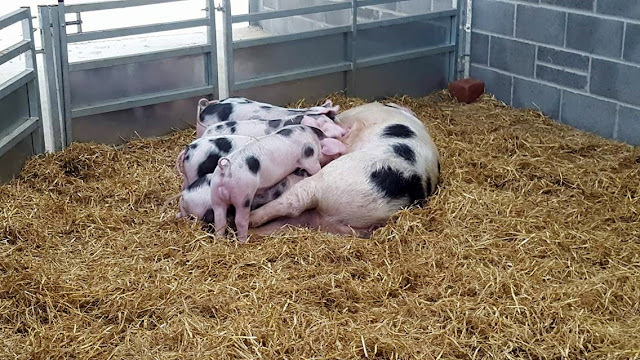 Children had to be over 1.4 metres to ride this on their own, but an adult could ride with any children smaller than this. 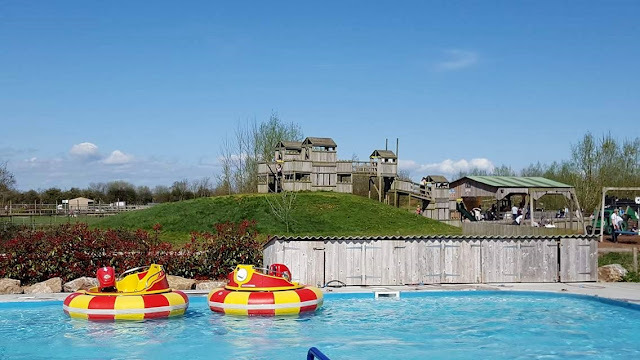 As our day out was drawing to a close, we paid one last trip to the fantastic outdoor adventure playground before ending our visit in the huge indoor play area featuring slides galore! The kids had an absolute ball in here, and there was plenty to do for all ages. The slides also included two scary drop slides which my son plucked up the courage to do, but my daughter passed on this, and I definitely didn't blame her as I wouldn't have done it either. 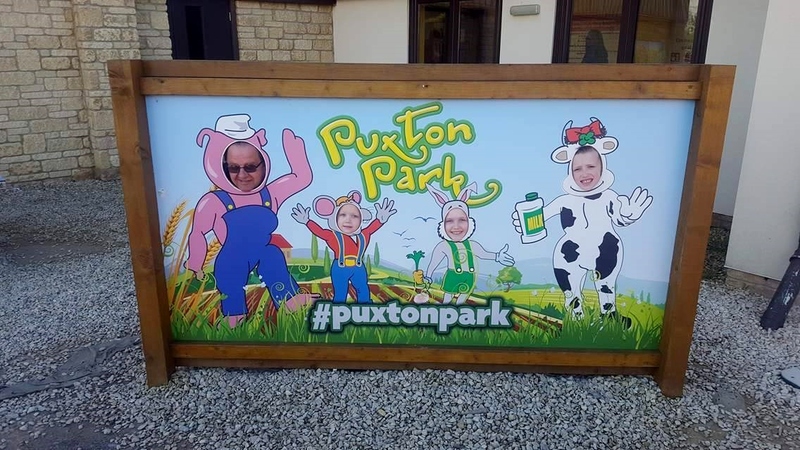 Overall we had an absolutely fantastic day at Puxton Park, and it is easy to see why they have recently won 'Experience of the Year' in the Bristol Lifestyle Awards 2017. The whole attraction was beautifully laid out, well cared for, and spotlessly clean throughout. All staff that we encountered were courteous, polite and friendly, and we felt that the entry prices offered excellent value for money. We could have quite easily visited for a second day had our schedule for the week not been full, as there were several activities that we did not experience including the crazy golf, falconry display and tractor ride, and so we will definitely make a point of returning should we be in the area again soon. 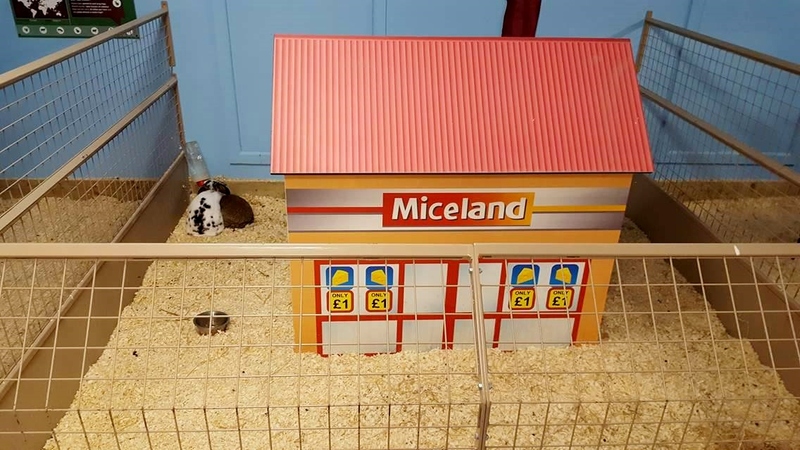 Children under 2 can enter for free. Disclaimer: We received a complimentary family admission for the purpose of providing an honest and impartial review. All opinions and photographs are my own unless otherwise stated.